Portal for Access to Archives and Learning is an initiative of NAI to make its rich treasure of Indian Archival Records available to one and all at the click of a button. 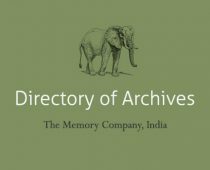 contains the reference media of more than 2.5 million files held by the National Archives of India. Over 11000 digitized records are available for online access.